Binge Drinking — How Much Is Too Much? My friends and I go to happy hour after work sometimes for a drink. But one of my friends doesn’t stop at one or two drinks, instead sometimes having three or four drinks. Is that considered binge drinking? Various cocktails at the bar. The Centers for Disease Control and Prevention defines binge drinking as consuming five or more drinks for men, or four or more drinks for women, in about two hours. A binge drinker is someone who experiences at least one binge-drinking episode during a 30-day period. 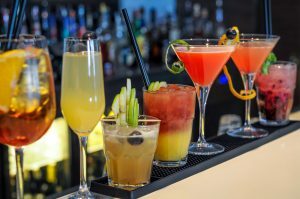 A standard alcoholic drink is equivalent to 12 ounces of beer, which is typically about 5 percent alcohol; 5 ounces of wine, which is typically 12 percent alcohol; or 1.5 ounces of hard liquor, which is typically 40 percent alcohol, or 80 proof, according to the National Institute on Alcohol Abuse and Alcoholism. 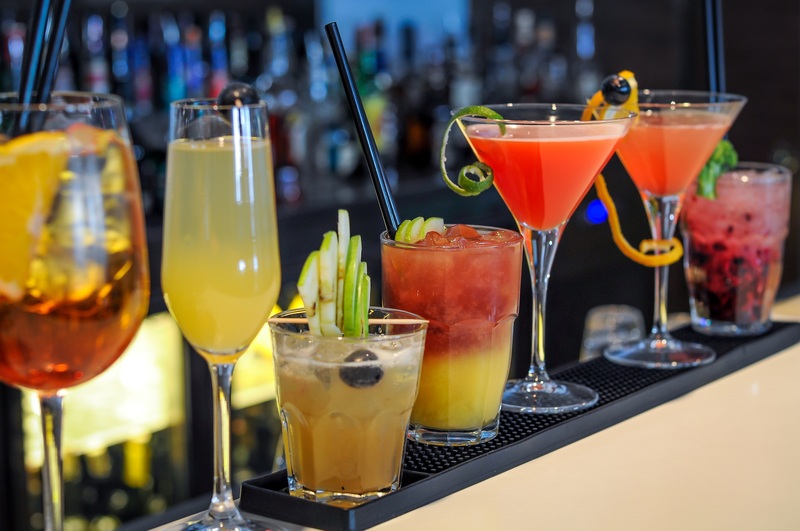 A new study released this week by the CDC shows that, in 2015, U.S. adults consumed more than 17 billion binge drinks, or more than 470 binge drinks per binge drinker. It also found that 1 in 6, or 37 million, adults binge drink about once a week, consuming an average of seven drinks per binge. The study appears in the April 2018 edition of the American Journal of Preventive Medicine. However, women of legal drinking age should have no more than one drink per day, while men of legal drinking age should consume no more than two drinks per day, according to the U.S. Dietary Guidelines for Americans. Why the different recommendations for men and women? There are several reasons. One is that your body depends on substances known as enzymes to process and remove (metabolize) alcohol Women in general produce less of these substances. As a result, they take more unmetabolized alcohol straight into the blood, which can quickly build up and produce effects. In addition, compared to men, women are generally smaller, have more body fat, and have less total body water. The alcohol they consume therefore doesn’t get diluted and becomes more concentrated in the blood. Excessive alcohol consumption or binge drinking can lead to long-term health problems such as cancer, diabetes, heart disease and liver failure. In fact, the CDC states that binge drinking is responsible for more than half the 88,000 alcohol-attributable deaths and three-quarters of the $249 billion in economic costs associated with excessive drinking in the United States annually. Binge drinkers in Ohio average some 592 alcoholic drinks annually, according to the CDC study. That is more than the national average of 470 drinks per year per binge drinker. The study also found that about one-fifth of Ohioans are binge drinkers, averaging some 51.4 binge drinking episodes per year. So what can be done to reduce binge drinking? The study recommends that alcohol screening and intervention by health care providers become a routine part of clinical care. It also recommends the widespread use of community prevention strategies such as limiting the number of places that serve or sell alcohol in a geographic area as well as limiting the days and hours for alcohol sales. ← Why Is Corned Beef Pink?